The main theater of the largest in the history of Russian Army's paratrooper maneuvers took place in the central regions of the country. According to the Russian military officials, special airborne forces, accompanied by the multi-purpose fighter-bombers SU-34 and SU-35, have exercised the massive offensive under highly difficult conditions. 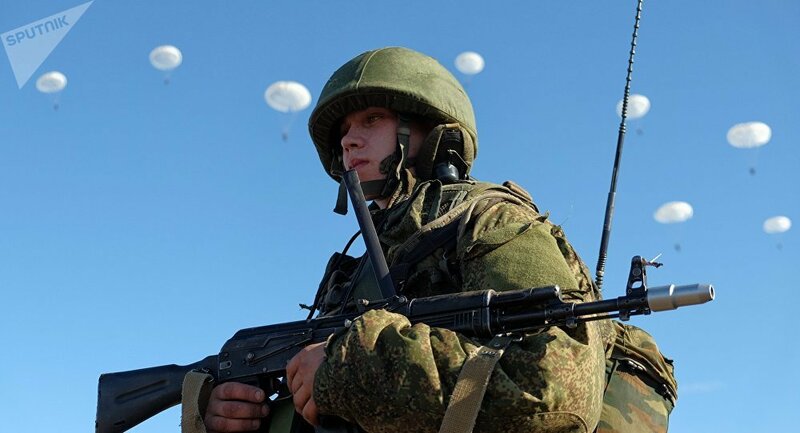 ULYANOVSK (Sputnik) — Over 1,000 of paratroopers have landed in Central Russia during massive military aviation drills, Col. Mikhail Osipenko, the acting deputy commander of Russia's Airborne Troops for airborne training, told reporters. "For the first time such large-scale drills and airlifting for such long distances and to unfamiliar locations were carried out. This is first of all about the 7th airborne division from Novorossiysk," Osipenko told reporters. According to the military official, airdrop missions will last for two days with more than 2,500 airborne soldiers participating. The results of the first day of the exercises were evaluated as "excellent." As part of the exercises, aviation regiments in the Russian regions of Tver, Pskov and Rostov were placed in the highest degree of combat readiness, while units of two airborne divisions in Pskov, Krasnodar and Stavropol regions were alerted.